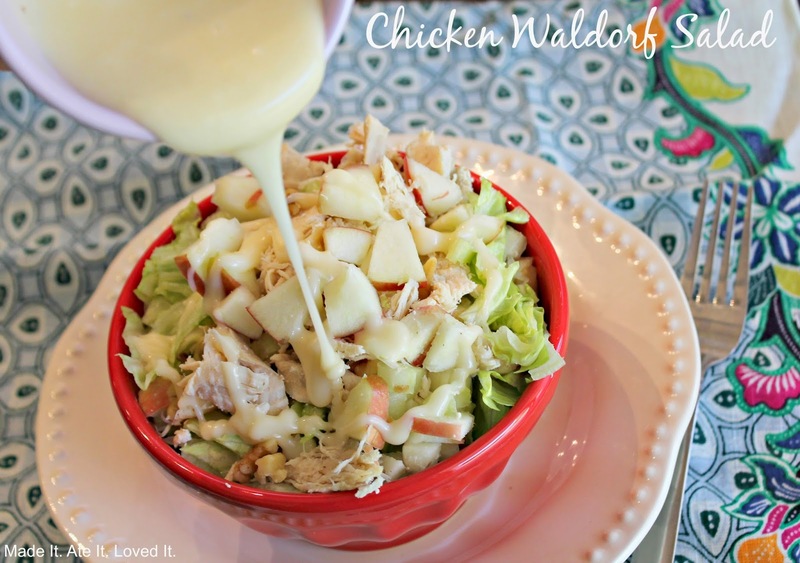 Chicken Waldorf Salad - Made It. Ate It. Loved It. The taste of a crunchy apple is so refreshing. And this salad is just that. 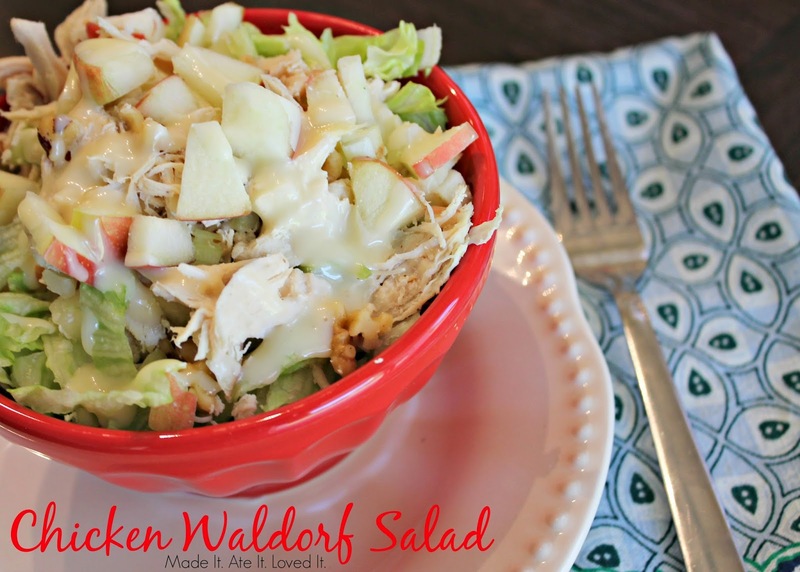 A very easy lunch time salad that can be thrown together in a matter of minutes. Paired with a delicious dressing just hits the spot. Hope you enjoy this salad as much as I do! In a large bowl combine all ingredients. Pour dressing over salad.